Greenpeace is calling foul on Adidas, Nike, and Puma ahead of the 2014 FIFA World Cup. In the first study to hone in on football kits, the environmental nonprofit uncovered high levels of hazardous substances in 33 brand-produced items for the Brazil-hosted tournament, including football jerseys, goalkeeper gloves, and the official “Brazuca” ball. The results are just cause for a time-out. Tests by independent laboratories uncovered toxic, potentially cancer-causing chemicals like perfluorinated compounds (PFCs), nonylphenolethoxylates (NPEs), phthalates, and dimethylformamide (DMF) in products from all three sportswear firms. Seventeen out of 21 pairs of boots contained PFCs in at least one of two sampling checks on the uppers and soles. One particular member of that chemical family, the persistent hormone-disruptor and Teflon constituent known as perfluorooctanoic acid (PFOA), appeared in 13 of those boots, at levels exceeding European Union regulatory thresholds. Adidas’s “Predator” boot contained a concentration of PFOA 14 times the company’s own restriction limit. By far the highest concentration of PFOA was found in Adidas’s iconic “Predator” boot. At 14.5 micrograms per square meter, the amount outstripped the company’s own restriction limit of 1 µg/m² a staggering 14 times. Nike and Puma fared just a mite better: The Nike Tiempo boot contained 5.93 µg/m² of PFOA, while the Puma EvoSpeed boot rang in at 6.41 µg/m². All 21 boots tested positive for phthalates, a group of endocrine-disrupting chemicals linked to everything from kidney damage to breast cancer, as well as DMF, a known liver toxicant that the U.S. Centers for Disease Control and Prevention recommends avoiding contact with skin. The official”Brazuca” ball was found to contain NPEs, a class of substances that, upon their release into the environment, degrades to nonylphenol, a environmentally persistent hormone disruptor known to accumulate in fish and other aquatic life. NPEs also reared their heads in more than two-thirds of boots and half of the gloves, an indictment of their widespread use. 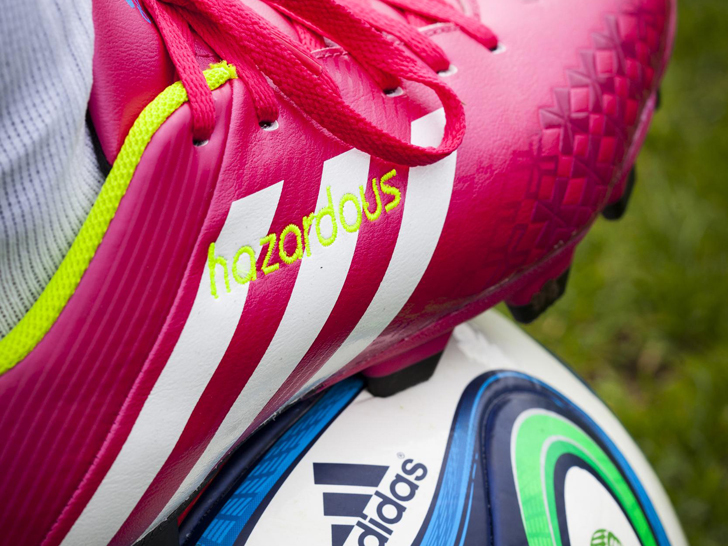 Although Adidas, Nike, and Puma have all committed to eliminating hazardous chemicals their products and supply chains by 2020, they are “failing to tackle their toxic addiction,” Santen says. “On behalf of the players, the fans and the local communities affected by toxic-water pollution we urge them to come clean by publicly disclosing the release of all hazardous chemicals and publishing a precise PFC phase-out plan,” he adds. 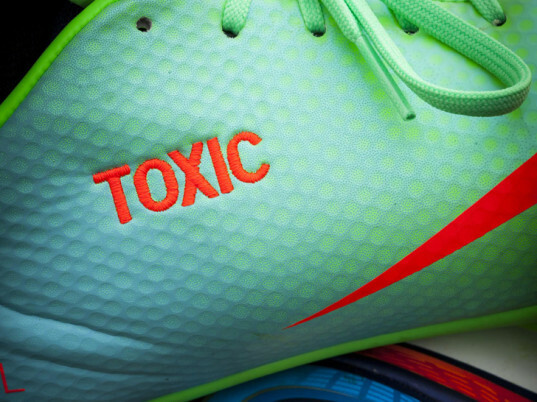 Greenpeace is calling foul on Adidas, Nike, and Puma ahead of the 2014 FIFA World Cup. In the first study to hone in on football kits, the environmental nonprofit uncovered high levels of hazardous substances in 33 brand-produced items for the Brazil-hosted tournament, including football jerseys, goalkeeper gloves, and the official "Brazuca" ball. The results are just cause for a time-out. Tests by independent laboratories uncovered toxic, potentially cancer-causing chemicals like perfluorinated compounds (PFCs), nonylphenolethoxylates (NPEs), phthalates, and dimethylformamide (DMF) in products from all three sportswear firms.